We provide expert logistics and science support. 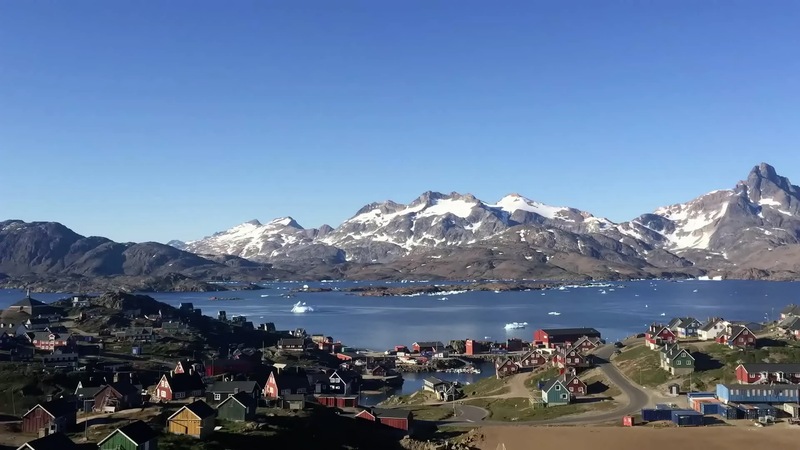 Are you planning on going to Greenland, but you don’t know where to start? Which area is best for my operations? How do I get there? What do I bring? How do I stay safe? Which permits do I need? How do I keep things affordable? If you and your team do not want to be confined to tourist locations, we can help. We can either assist you remotely, or provide local support. Greenland Guidance has years of experience running complex operations in all corners of Greenland. In addition to these services, we provide short field safety courses, targeted at scientists and other groups spending time on the Greenland ice sheet, where weather and terrain can be unforgiving. Also, for scientists looking for rugged instrumentation to place on ice sheets and glaciers, but without the time to look into its manufacturing, our experienced technicians can custom-build a variety of instruments. Instruments for monitoring in extreme locations such as on glaciers and ice sheets need to be extremely rugged. They have to be able to cope with very low temperatures, impacting sensor functionality and battery capacity. They should withstand the pressure of snow accumulating un top, and the static electricity that drifting snow generates. They need to survive countless freeze-thaw cycles, and remain operational in dark periods without solar charging. And they should stand stably in strong winds while positioned on ever-changing snow/ice surfaces. On top of all this, the instruments need to monitor exactly what you’d like them to. Greenland Guidance offers a selection of instruments and measurement systems specifically developed for operation in the extreme cold. We know what is needed from these instruments because we did science with them ourselves. We can build them for you and ship them anywhere on the planet, or we can take care of the field installation for you. With specific instrument ideas, do not hesitate to contact us as our technical developers may be able to produce instruments tailored to your needs. Feel free to get in touch for a quote for any of the following instruments, or to ask us to develop a new instrument for you. The glacier weather station measures all relevant meteorological variables, surface radiative components, and ice movement, in addition to snow accumulation and snow/ice melt. Measurements are stored locally and transmitted straight into your email inbox. Its rugged, 3-meter tripod withstands severe storms and the forces of snow compacting on top. Ice trackers are stand-alone GPS units for monitoring ice movement. Ideal for sea ice or fast-flowing outlet glaciers. The ice tracker can be left unattended for one or several years, and has minimal environmental impact. The unit transmits its coordinates, which not only provides real-time insights of ice dynamics, but also allows easy recovery during the following field visit. Designed for measuring ice ablation in unaccessible glaciated regions, our draw wire ice ablation trackers are equipped with rugged tripods withstanding storms and winter snow accumulation, yet are easy to transport. The units optionally contain a built-in GPS antenna for determining glacier flow rates. Data are stored locally in the datalogger, but units can also be equipped with a satellite antenna for data transmission functionality. Our time-lapse camera systems are designed to remain operational in extreme cold and dark conditions for extended periods. The materials used are chosen for the unit to survive high wind stress, sand blasting, rodent attack, etcetera. Ideal for monitoring glacier calving, glacier movement, meltwater streams, snow cover, and any other process too slow for conventional video to capture. We produce thermistor strings that allow you to measure subsurface temperatures with precision. Entirely constructed from its basic components, our thermistor strings will exactly meet your requirements. The strings can be used in snow, ice, water, soil, or rock. If you’d like to hear how we can assist you in running your operations in Greenland, or if you’d like information on our field safety course or scientific instruments, please contact us through this form. We will get back to you shortly.